Following his recent violent behaviours, celebrity singer Chris Brown has began an intensive rehabilitation program to curb his anger. 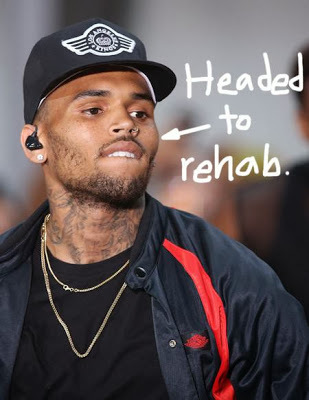 Chris Brown has checked into a celebrity rehabilitation center in order to skip jail. On Sunday the 27th of October 2013, Chris Brown was arrested for assault, a violence that might lead him to jail. “Chris Brown has elected to enter a rehab facility. His goal is to gain focus and insight into his past and recent behavior,enabling him to continue the pursuit of his life and his career from a healthier vantage point.” – said his spokesperson. He is scheduled to stay in rehab pending his court appearance. Since he parted with Rihanna, Breezy has always being in one trouble or the other.